Putting Your Money Where Your Mouth Is: What Does a Root Canal Cost in Texas? Root canals save over 15 million teeth in the U.S. each year, so if you've learned you need to have one yourself, you're in good company. But you also may be a little nervous about both the procedure itself--and its cost. 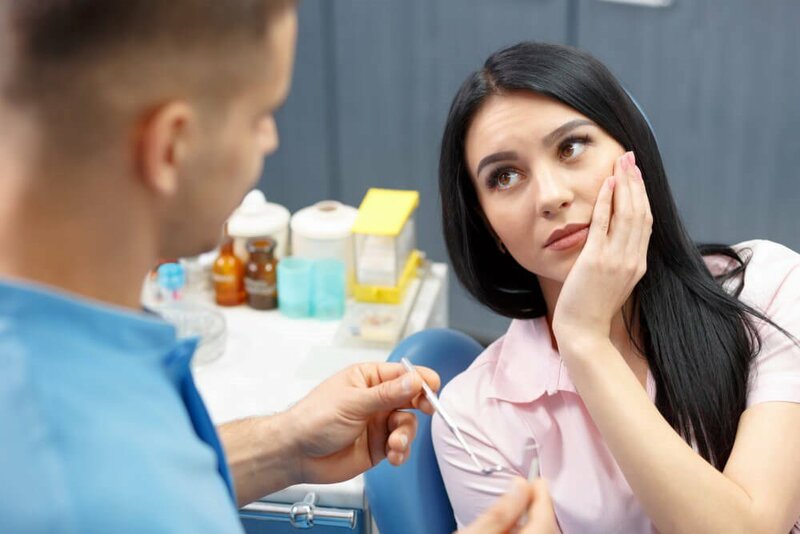 Read on to learn more about how much a root canal costs in Texas, your payment options, and a little more about the actual procedure. A root canal is when a dentist must remove the entire inside structure of a tooth including its pulp. This is the part of the tooth that contains the nerves and blood supply. The inside chambers of the tooth's roots are also removed. Why is this done? It's most commonly needed to treat a toothache. When a cavity becomes big enough to reach the pulpit can cause excruciating pain and is often accompanied by an infection or abscess. This can be a very serious dental condition because the bacteria in the infection can easily spread to other parts of the body. Believe it or not, untreated tooth decay has led to deaths. But you don't necessarily have to have a toothache to require a root canal. If you have a cavity that's dangerously close to the pulp your dentist may recommend one so the tooth doesn't cause you pain later on down the line. Or your tooth may have been injured or has an exposed nerve due to a fracture. Whatever the reason, a root canal saves and restores your tooth so you can chew food, smile, and enjoy your daily life again. Best of all, it relieves any pain. The cost of a root canal depends upon what tooth requires treatment. Your molars in the back of your mouth contain more roots, so they naturally require more care which drives up the cost. Your front teeth only have one root, so the procedure on these teeth generally cost less. If you need a crown, expect to add another $1,400 to $1,600 to the cost depending on the type of tooth. Root canals can make teeth more brittle because so much of the inside is removed. Your dentist may recommend a crown to help protect it and fully restore it. Will Dental Insurance Cover a Root Canal? If you have dental insurance, you'll need to refer to your plan and provider to determine if any part of your root canal procedure is covered. A root canal is a major procedure, and most dental policies only pay for 50% of major restorative services. Still, paying for only half is certainly better than paying for the whole bill. You should also discuss your concerns with your dentist. Most are more than happy to help you work out a payment plan you're comfortable with to pay the bill off. Can't I Just Have the Tooth Pulled? Since extraction is a much cheaper procedure, you may be tempted to have your affected tooth pulled to save yourself some money. While this may initially save you some money, there are still long-term consequences to losing a tooth. The remaining teeth shift and drift out of place, which can affect your bite. To prevent this from happening a dentist may recommend implant dentistry to replace the missing tooth or a bridge to prevent shifting. These procedures do cost money in the long run. All things considered, it's most cost effective to save a natural tooth with a root canal versus having it pulled and paying for a more expensive implant later. You also shouldn't delay having a root canal done if a dentist has recommended the treatment. Putting it off can compromise the tooth and eventually lead to extraction and implant. Root canals are probably the most feared dental treatment, but the truth is most patients report feeling no discomfort whatsoever during the procedure. The reason many people think it's going to hurt is usually that they're already in pain when they need one. However, your dentist will make sure the tooth to be worked on is completely numb using a local anesthetic and that you're comfortable. You may also receive laughing gas to help you relax in the chair. Your dentist may also place a dental dam in your mouth to isolate the tooth to be worked on. They may also insert a clamp that will keep your mouth open wide enough so your jaw muscles don't get tired during the procedure. Your dentist will then drill away the decayed part of the tooth along with the pulp. They'll then use special instruments to clean out the roots--or canals-- to ensure all of the infection is gone. After sterilizing the inside of the tooth, a rubber-like filling called gutta-percha will be used to fill the tooth including its roots. A temporary crown may be placed over the tooth as well. It may also be a longer appointment than a standard filing because the tooth's roots need to be cleaned out. For patients suffering from a toothache, the relief they feel afterward is well worth spending a little more extra time in the chair! Here at Parker West Dental Associates, one of our specialties is root canal treatment. We eliminate the need to refer you to an endodontist and we're also happy to work out a payment plan for your treatment costs. If you're wondering if you need a root canal, contact us to set up an appointment today!